Attendees to this class will learn about the many different applications of soft serve and a variety of trendy novelties that are sure to please the eye and your taste buds! This class teaches students how to prepare trendy soft serve options as well as gelato bonbons, scratch made ice cream sandwiches and more. Fun, exciting and innovative items such as the “gelato panini”, frozen cakes, frozen pies, milk shakes, frozen custard concretes and more will all be explored in this class to help frozen dessert shops broaden their product offerings with easy solutions. 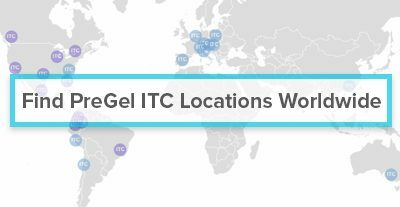 Frozen dessert and beverage ideas are everywhere, so separating your concept from the pack is imperative and PreGel’s International Training Centers are offering this special class to teach you how to do just that. This class is approved by the American Culinary Federation for 18 Continuing Education Hours. Bookings are closed for this event. See more classes. © 2019 PreGel Training. All rights reserved.